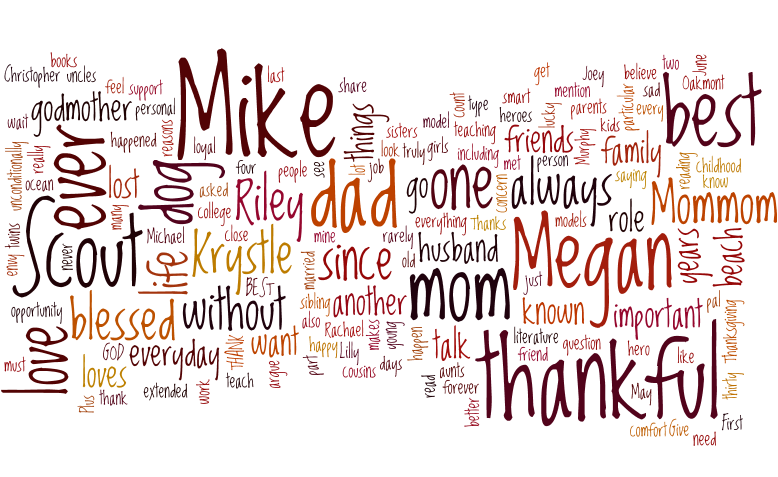 Here's a Wordle, or a word cloud, of what I am thankful for this Thanksgiving. If you aren't familiar with Wordle, you can write as much or as little text as you want and it pinpoints the words that you use most often. I thought I would share mine with you. Happy Thanksgiving Christina! 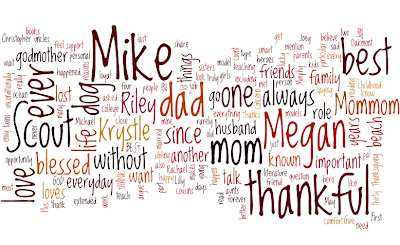 Love your Wordle:) Hope you have a wonderful holiday! Jamie- Thanks!! I hope you had a great Thanksgiving too. Juju- Thanks! I hope you had a great Thanksgiving as well. Hope you had a great Thanksgiving. I wish we celebrated it in the UK.